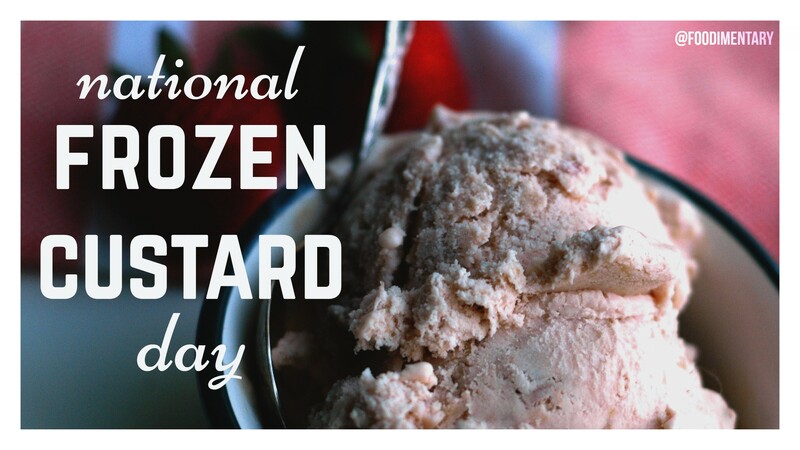 August 8th is National Frozen Custard Day! Custard bases may also be used for quiches and other savory foods. Depending on how much egg or thickener is used, custard may vary in consistency from a thin pouring sauce (crème anglaise), to a thick pastry cream used to fill éclairs. Custard is a variety of culinary preparations based on a cooked mixture of milk or cream and egg yolk. The most common custards are used as desserts or dessert sauces and typically include sugar and vanilla. Sometimes flour, corn starch, or gelatin is added as in pastry cream or creme patissiere. 1899 A.T. Marshall of Brockton, Massachusetts patented the refrigerator. 1927 Alfalfa was born on this day. Actually, it was Carl Switzer who played Alfalfa in the ‘Our Gang’ short film series. 1983 Rolla N. Harger died. A biochemist, he invented the first successful test machine for blood alcohol content, the Drunkometer, in 1931. 1988 ‘Kid Chocolate’ (Elgio Saldana) died. He became Cuba’s first world boxing champion in 1931 after defeating Benny Bass for the Jr. Lightweight Championship. 2006 Krispy Kreme donuts opened its first Asian outlet in Hong Kong. Sounds like a good reason to eat frozen custard today. The picture you’re showing is NOT frozen custard. That’s plain old ice cream.